The ice is still thin, as the chart below indicates, but that’s how freeze-up starts. As long as strong winds don’t blow the ice away (as it sometimes does at this stage), the ice gets thicker day by day — and advances further and further off shore. Polar bears get out on the ice as soon as they are physically able, when the ice is about 3-4 inches thick (about 10 cm) or less. Below is a video of a bear traversing that thin ice yesterday (1 November 2017), near Churchill. Is this a portend of a freeze-up date as early as occurred in the 1980s? The big ‘bite” of ice being torn out to the south of Banks Island is the Amundsen Gulf. 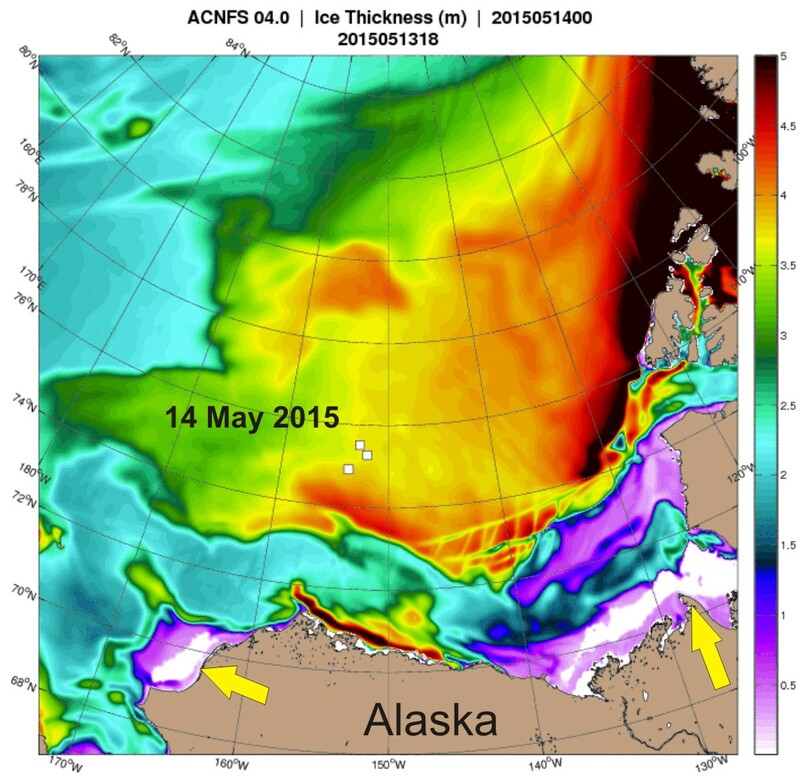 So, early breakup here is due to Beaufort Gyre action – not early seasonal melt. Western Hudson Bay bear, Wakusp National Park, August 2011. But they didn’t mention that the 806 estimate for 2011 was based on only a portion of the WHB region (Fig. 1) and has not been accepted by their peers as a valid estimate of the population size. They also failed to mention that the decline occurred due to thick spring ice and/or unsuitable snow conditions for ringed seals between 1989 and 1992 (Fig. 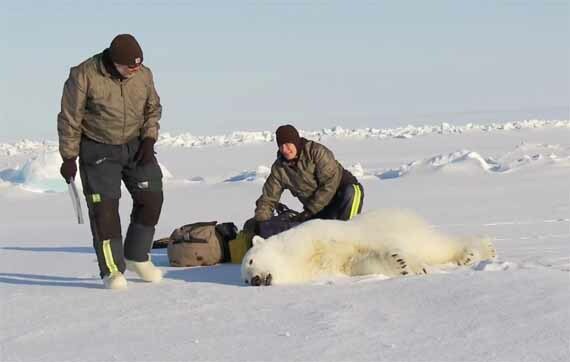 2), which resulted in reduced availability of polar bear prey (as I discussed in detail in Crockford 2015). In other words, their study shows there has been no decline in the population since 2004, which had been predicted to occur (see previous post, Prediction #1), and there has been no trend in either breakup or freeze-up dates between 2001 and 2010 (or since). See previous post on the government report on which this paper is based here. 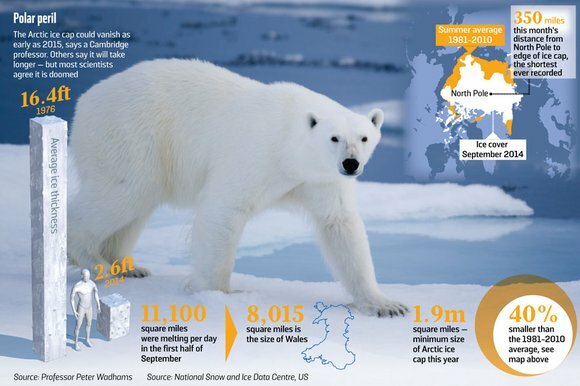 To counter the misleading ploy used by the Sunday Times — of implying polar bears are in peril because of recent changes in Arctic sea ice (Sunday Times & The Australian, 21/22 Sept. 2014 Arctic ice cap in a ‘death spiral’) — I’ll go over again why the polar bear as a species is not threatened by declines in summer sea ice or even winter ice that is predominantly “thin” (first year) ice.